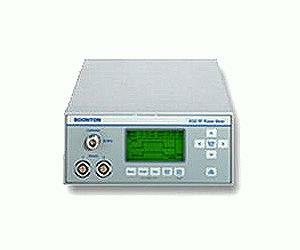 The Boonton 4530 Series RF power meters combine the accuracy of a laboratory-grade instrument with the speed required for production test. They employ proprietary measurement techniques that accurately measure digitally-modulated signals, faster, than any other RF power meters on the market. So whether you are measuring CW power or the peak power of W-CDMA or HDTV signals, Boonton single-channel Model 4531 and dual-channel Model 4532 are the logical choice for high-volume production test.